After four months in the hospital, to everyone’s surprise, and with extraordinary courage, Yvonne was able to regain speech and movement. Yet, in a span of approximately ten months, she suffered three ischemic strokes, and another hemorrhagic one. Since different kinds of strokes require different treatments, medical care was challenging. Yvonne persevered. She said that recovery required “endless effort.” She can now walk without difficulty. She has a light speech impediment and lost some functioning in her right hand. 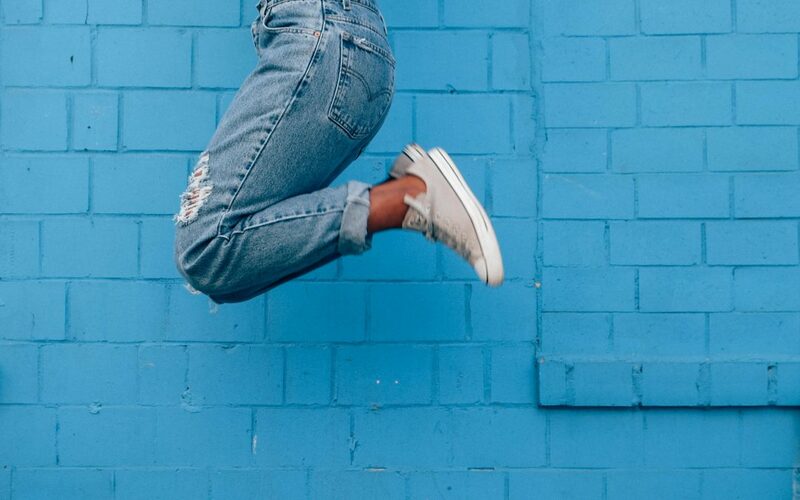 As we now know, with post-traumatic growth, trauma like this can often serve as a catalyst for a profound awakening to an emotional and spiritual transformation. Yvonne’s awaking came in the form of writing poetry. 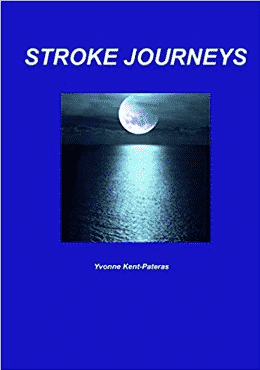 You can find Yvonne’s poetry in her book, Stroke Journeys, by clicking on this link. There is research that those experiencing PTSD reported improved well-being in response to poetry therapy. This might be the case because a hallmark of having experienced trauma is the subsequent difficulty processing the experience, which results in avoiding and suppressing associated emotions/memories. 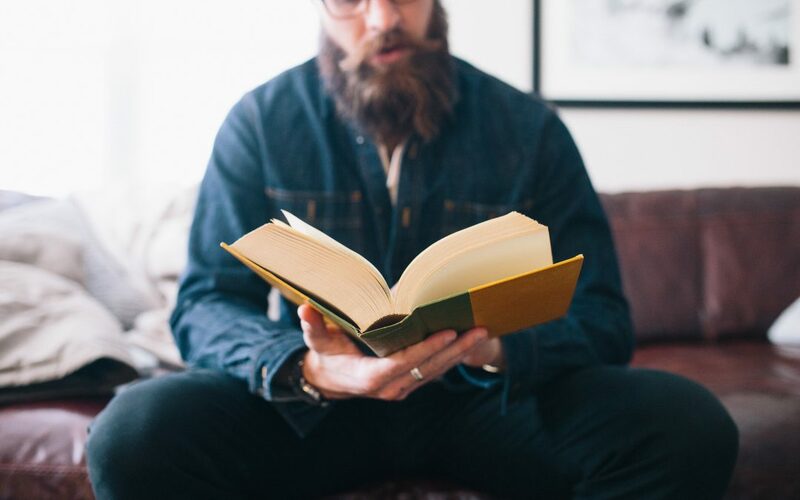 Poetry therapy has provided an outlet for those suffering with PTSD to start to integrate many of these feelings, and even more so, to start to reframe the traumatic experience. Poetry therapy itself is a bit abstract to describe, but there are a few ways to engage with it. Here is a multi-model poetry therapy practice developed by Nicholas Mazza, the founding and continuing editor of the Journal of Poetry Therapy. Expressive/creative: This entails actual creative writing. The therapist promotes stream of consciousness writing that might aid in discovering blocked emotions, parsing felt emotions, or retrieving memories that are difficult to articulate. The therapist might offer a prompt to help someone get started. Symbolic/ceremonial: This includes working with metaphor/simile to help further explain emotions that are hard to describe in a more literal sense. The ceremonial part may consist of writing a letter to someone they may have lost and then burning it. The efficacy of poetry therapy is still being studied. Most of the empirical evidence for its effectiveness comes through James Pennebaker’s (a pioneer in the field of Positive Psychology) work in the therapeutic use of expressive writing. His studies have indicated that the use of expressive writing, even for as little as 15 minutes over the course of 4 days, resulted in positive health effects. In addition, his initial work dealt with the use of expressive writing to heal wounds from traumatic stressful events. In some ways poetry gives us the way to speak about the unspeakable. 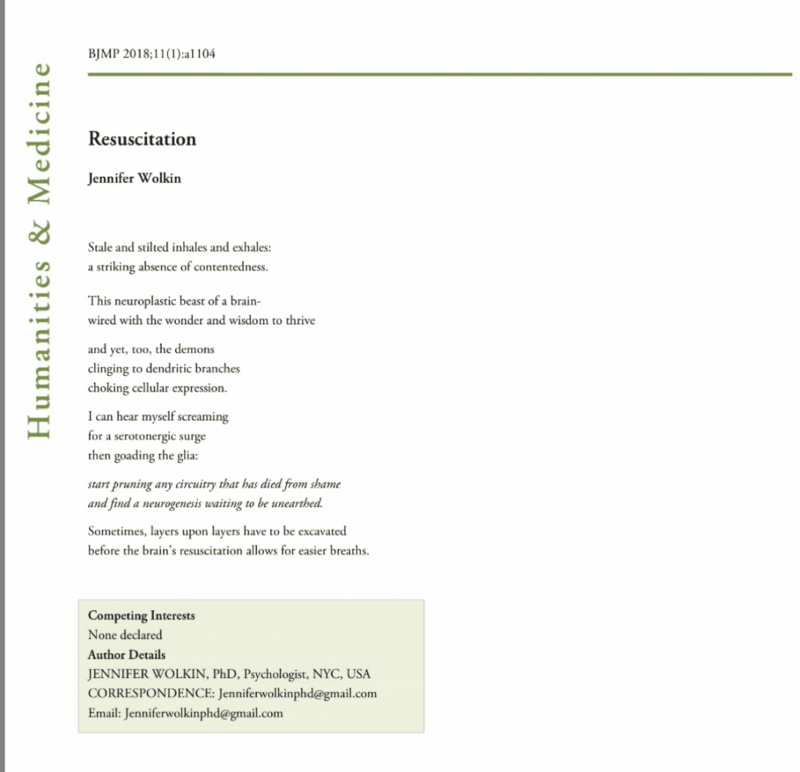 It is more and more common for those suffering with medical challenges to write their story, many times in poetic form, to aid in their own healing. As always, it is crucial to note that just like with mindfulness approaches to trauma, poetry therapy is most often used in conjunction with other therapies. On a personal note, I’m particularly drawn to this type of therapy and recently started studying for my MFA at Queens College. I am touched by the profound pain that is both individually and collectively felt, how this pain can displace someone from others and their selves, and yet, the profound capacity for resilience, healing, and growth. Aside from writing my own work, I hope to employ poetry as a technique to help my clients say what they couldn’t otherwise say. Did you know that Emily Dickinson can change your neurophysiology? Well, maybe not Dickinson herself, but certainly the poetry she wrote. In 2013, researchers at the University of Exeter had subjects take functional MRI’s (i.e., a tool that allows the brain’s activity to be seen in real time) while they read from texts that they had never seen before, these included works of non-fiction, fiction, and poetry. The brain parts activated in response to reading the poetry were the same as those activated in response to hearing beloved music. 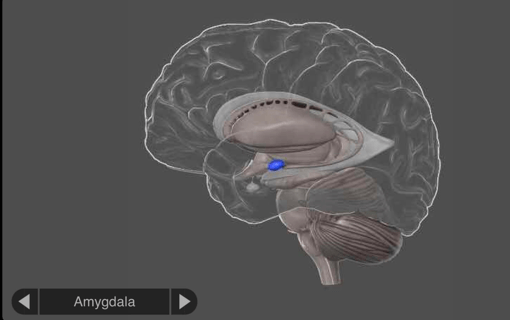 The brain’s response to poetry mimicked the brain “at rest”. That is to say, the same way the brain looks when we feel introspective. Since humans have an innate response to rhythm and sound, it seems to make sense that poetry and music would align in the brain. Poetry as an art form predates literacy, and poetry was first employed as a way to both remember and convey oral history. Poetry is not much different than music in this way as it is found in ancient hymns and chants that delineated cultural traditions. 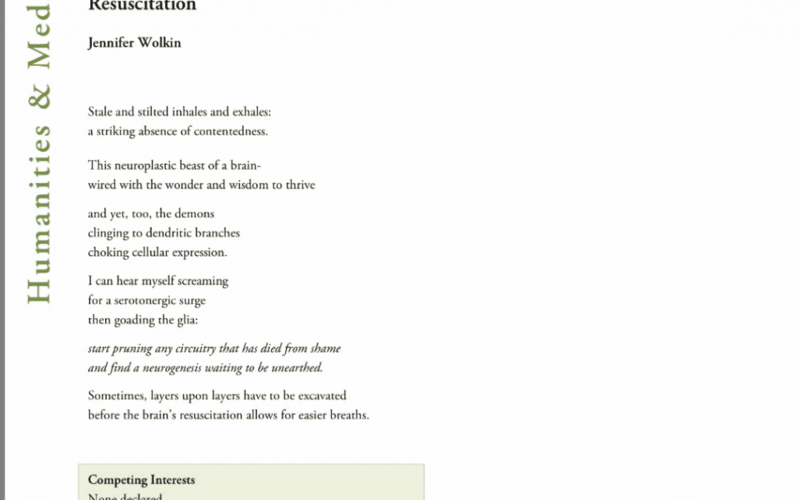 In addition, it appears that poetry also serves as a haven for a reflective, contemplative, and daydreaming brain. Therefore, poetry might also prove beneficial to the brain on a cognitive level. In a 2006 study, researchers observed how brains reacted to Shakespeare’s linguistic craftiness, including his pun-making and also a technique called ‘functional shifting’ during which Shakespeare uses a noun as a verb. When the grammar shifted, the brain “lit up” and responded in its attempt to make sense of the unusual use of the word. This type of stimulation is beneficial to long-term cognitive functioning. Learning, especially learning that is not passive, is neuroprotective. In 2013, researchers had subjects read both original Shakespeare texts as well as versions that had been translated to be more easily understood by modern audiences. When reading the complex originals, researchers noticed a more intense reaction from the language centers of the brain (for most people, their left hemisphere) as subjects strove to make meaning of the text. Furthermore, during the same study, researchers noticed that when it came to reading Shakespeare’s original poetry, brain regions related to personal and autobiographical memory were activated (found grossly in the right hemisphere). These findings point to poetry’s ability to foster both a personal connection to a poem, as well as create a sense of self-reflection. To take the latter even further, we can extrapolate that poetry triggers what is called a “reappraisal mechanism,” or the process of reflecting and sometimes rethinking our own experiences in the context of what we are reading. So, reading poetry, especially poetry that keeps us on our toes linguistically, is a portal into a space for our self-reflection and growth, as well as serving as a beneficial tool to keeping the brain vital. At the very least…poetry is like music to our ears! 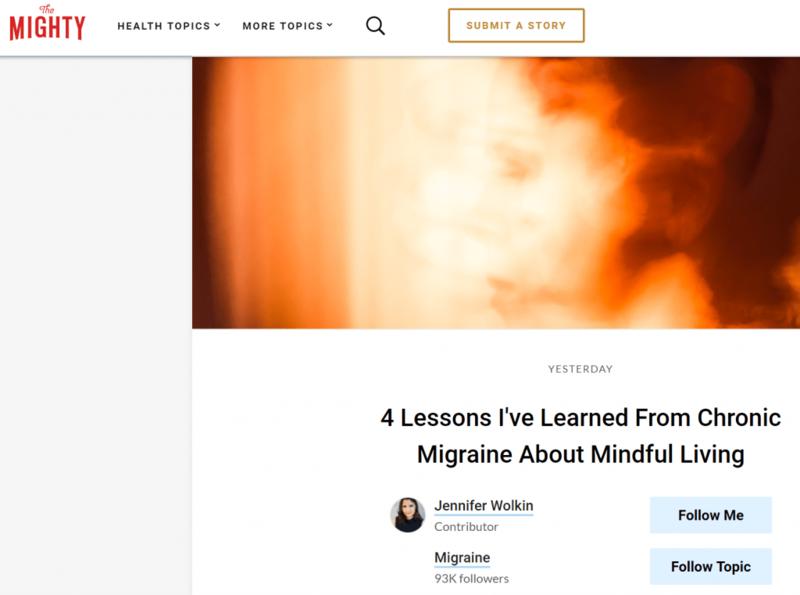 The impact that mindfulness exerts on our brain is borne from routine: a slow, steady, and consistent reckoning of our realities, and the ability to take a step back, become more aware, more accepting, less judgmental, and less reactive. Just as playing the piano over and over again over time strengthens and supports brain networks involved with playing music – mindfulness over time can make the brain, and thus, us, more efficient regulators, with a penchant for pausing to respond to external stimuli instead of mindlessly reacting. The amazing thing about mindfulness is that you can apply it to any action you engage in on a daily basis; cooking, cleaning, walking to work, talking to a friend, driving – or even drawing or coloring! Why coloring? Well, for one, we all need to embrace our inner child! As adults, we don’t do enough coloring, or any type of play for that matter. Did you know that play can help reduce stress? Also, believe it or not, coloring utilizes areas of the brain that enhance focus and concentration, and nurturing attention is one of the mechanisms by which mindfulness leads to well-being. That is helpful, because when we are engaged “on purpose” in a particular task, by focusing on it instead of remaining on autopilot, then our negative and unhelpful thinking seems far away (i.e. isn’t on our minds!) Our minds literally can’t focus on both at the same time. Yet, it should not be seen as just a distraction from really dealing with our “problems”. By engaging in this exercise, we can continue to deepen our ability to be mindful and train our mind to stay in the present moment rather than habitually straying into unhelpful thoughts about the past or future, to rather stay non-judgmentally present to our every sensation as it unfolds. In this way, we are better equipped to calmly approach our anxiety and parse out if it is a real or imagined stress. Start with colored pencils, or crayons or any other drawing/coloring tool that feels right to you. Then, listen to your gut, and start to color without too much thought about it. Don’t analyze your drawing, rather, just let what comes organically come. Try not to edit. If you want, you can print multiple pages so you can do this over and over again. How does your hand move across the page? You might even want to spend some time following it. How do the different strokes look? Notice the difference between using the sharp edge vs. the side of the pencil. How do the different colors (if you are using multiple colors) add to the different parts of the image? Notice, without judgment, as your drawing unfolds. What does your unique brain look like? In my ‘The Grand Conductor’ packet, we go through the biology of the brain, as well as the latest research on how to keep it in tip-top shape, but at the end of the day, it’s important to remember that we’re just brains studying brains. We’re limited in our understanding of the brain by the virtue of the very thing we’re using to study it! In addition, just as every individual is unique, so is each brain different from the next, and, moreover, constantly changing as we age! So, let’s all open our minds (see what I did there?) and learn more about ours, and each other’s, unique brains. 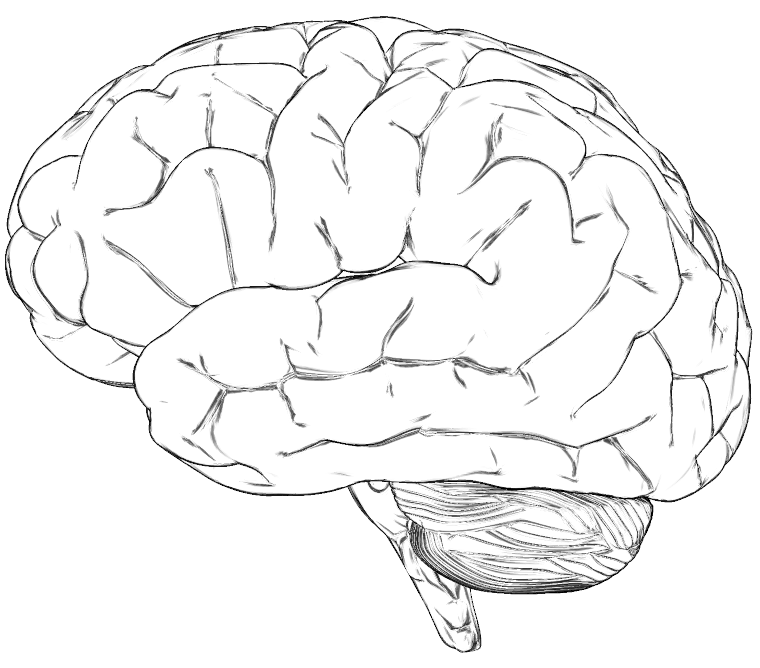 Print out the brain image below and color it in however you please! Remember to try to practice staying mindful during the process. Let it reflect the latest brain science (learn more from the infographics at the bottom of this blog!) or let it reflect your own personal understanding of self. 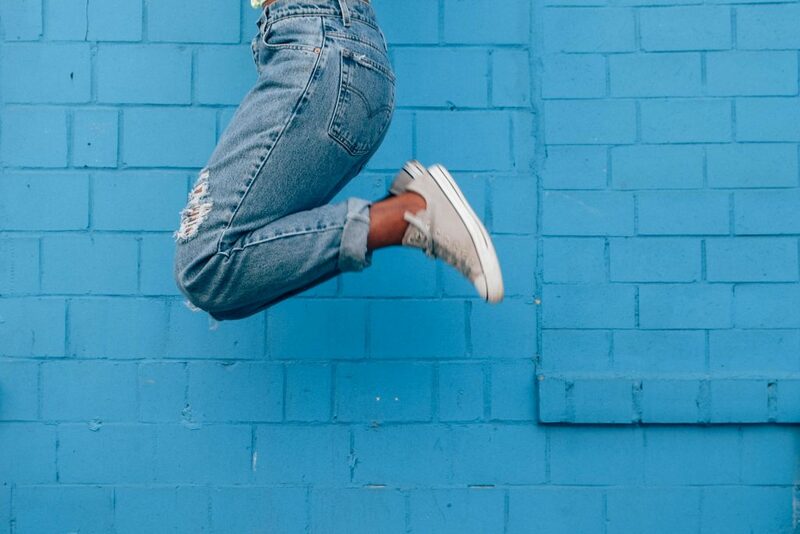 Whatever you decide – Let your mind soar! Keep in mind, it’s not about being an artist, in fact, no artistic skill is necessary. Just dive in and notice, again, without judgment, what the process is like for you. I’m going to do this as well, and share it on my social media pages, so stay tuned! 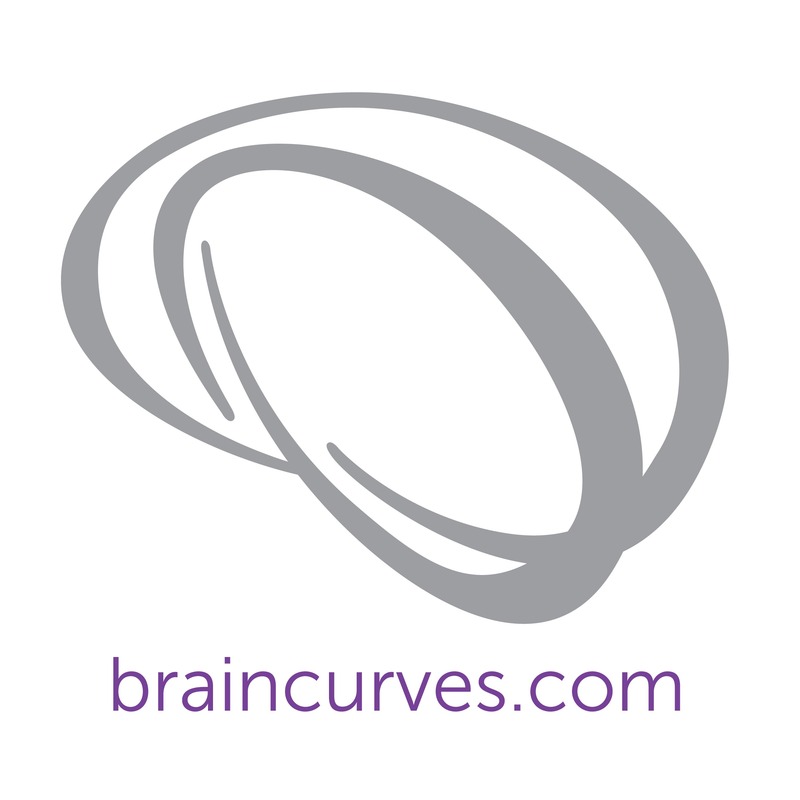 When you are finished, please, #ShareYourBrain on social media and tag @BrainCurves! I’ve had episodic migraines all my life, but they never debilitated me. A day or two before my period, when a bad headache would strike, I’d take four Advil, put an ice pack on my neck, and be fine a few hours later. That all changed in June 2017. Here’s how I remember it: I took a flight from New York City to the West Coast, and then two more flights within the same week. I experienced 110 F Las Vegas summer weather, jet lag, and overall exhaustion. I was still feeling stressed from the news the month prior that I might be experiencing perimenopausal hormonal changes (read: premature ovarian failure). Then, on the fourth day of the trip, after sleeping for 16 hours straight, I woke up feeling an off-ness that grew into a slew of neurological symptoms that never went away. This perfect storm of events, as my neurologist called it, must have set off a cascade inside my body that culminated in migraine, that has lasted for the last seven months in varying degrees of intensity. I have had various in and out symptoms including light sensitivity, dizziness, nausea, blurriness, stabbing eye pain, gastric stasis, brain fog, and headaches. Some might call it status migrainosus, which by definition is a migraine that lasts for more than 72 hours. Whatever we call it, my migraines clearly went from being episodic to a chronic and disabling issue. The initial migraine technically broke two months later following a steroid taper, which gave me two days of relief. Since then, I have had on and off symptoms almost daily in varying degrees and intensities. While migraine is often genetic, and there is no one agreed upon cause, there are triggers involved – which don’t cause an attack, but can set one off. Some are uncontrollable, like barometric pressure, and some can be managed through lifestyle changes. The latter requires meticulous self-calibration. I’ve eliminated many dietary triggers, including alcohol, chocolate, anything with tyramine, anything with nitrates, and even some food high in histamines. The calibration continues, as even the amount of caffeine that I put in my body can put me at risk for symptoms. So every morning I have just the right amount of espresso, no more, no less. This also applies to sleep. I need enough sleep to feel well, but too much sleep can actually tip the scales in the wrong direction. This awareness to detail has been a bit painstaking, and it sometimes feels like a roulette game. Yet, I’ve never been so aware of what my body needs in any given moment. My interoceptive awareness has been heightened in a beneficial way. Some of the medications to abort migraine work best when you can catch the symptoms early. This has required me to be consciously aware of the subtle nuances in the way I feel at any given moment. Of course, at its extreme, this can become almost obsessive. But when it’s for the sake of one’s wellness, it feels calming to be able to know that I can help myself by being more attuned to my body. For me, my heart starts to race, my vision tends to blur, and my shoulders and neck start to tighten. I’ve learned that by noticing these symptoms early, I can sometimes even skip the medication by immediately applying peppermint oil to my wrists and temples, ice on my forehead, and heat on my neck area. Chronic migraine forced me to take a break from physical exertion. With the lack of consistent cardio, coupled with the weight-gain side effects of certain medications, I saw the number on the scale go up. At first, I started to obsess over the weight that I “should” be at. Then, I started to have compassion for the strength of my body as it went through this process. Instead of focusing on pounds, I focused on wellness. I am finally challenging many of the “shoulds” I’ve amassed, and as I do I notice the seeds of self-compassion budding within me. 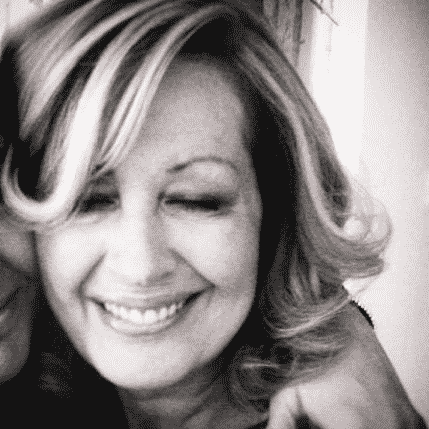 I’m certainly not going to imply that we have to struggle in some capacity to feel and express gratitude! Yet, the caliber of gratitude that I felt in the moments when I experienced even modicums of relief from my migraine symptoms, was something I’d never experienced in all my years of gratitude training. I found myself literally saying, “Thank you, thank you, thank you!” But when the pain returned, and I was at risk for falling into a darkness, “Why was that relief taken away from me! ?” I challenged that thought, and reminded myself that if I had a moment of relief, I would have another – and that gave me hope. I tend to be more of a nurturer, caregiver type — much better at giving than receiving — but because of the sometimes disabling nature of migraine, I literally had no choice but to allow myself to surrender to others’ giving. Whether it was foot massages in the throes of a more severe attack, ice and heat around the clock as needed, mailing me different essential oils, including peppermint — which I’ve found has been crucial — showing up to the ER when the relentless pain called for a visit, calling or checking in daily, helping me strategize to find the best and highest caliber treatment team, and even just holding me during some of the more emotional moments when I’d cry from exhaustion, when the hope was too hard to hold, when I couldn’t see my future. To see those I love show up in many different ways to bring me even just a little more relief filled me with gratitude — again, the kind I had never quite felt before. By nature, I tend towards the more impatient end of the spectrum. I like to take productive action and see immediate results — cause and effect, right? Well, sometimes, life just doesn’t work like this and I have had to maintain patience across many facets of my migraine experience. Finding the right treatment team takes time. Not every doctor is going to be the right fit for your needs, and that’s OK. However, it can feel like a job finding the point person who will facilitate the appropriate treatment, the clinician who is the right fit. After a few months, thanks to a friend’s recommendation, I’ve finally found someone. Often, treating migraine also calls for finding the right cocktail of medications. This takes a lot of time, too. Not only do you need to find the right combination that works for each unique individual, but it also takes at least one month before you’ve given each and every medication its “fair shot.” Plus, some come with egregious side effects, and you have to decide: do you wait it out and hope they subside as the medication takes effect – or do you stop it, and start over? I’d like the healing to be more linear and more blatant, but it’s not. There’s a lot of waiting involved, and the waiting feels compounded because it happens sometimes in the context of great discomfort and pain. Baby steps is my new mantra, but none of this feels easy. So, while it’s taken a solid treatment team, preventative meds, significant lifestyle and dietary changes, and incredible support, I have no doubt that these lessons are part of my healing process. That’s the irony of all ironies. The lessons learned are like lifeboats in an unpredictable, roaring sea. Again, one doesn’t have to struggle to “see the light,” but if one is experiencing discomfort and pain, there’s more to see in that muck than meets the eye.